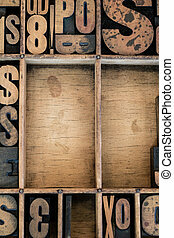 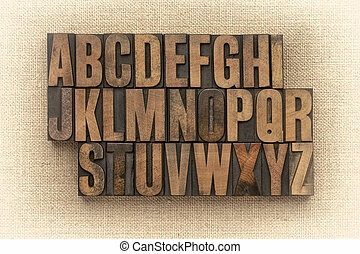 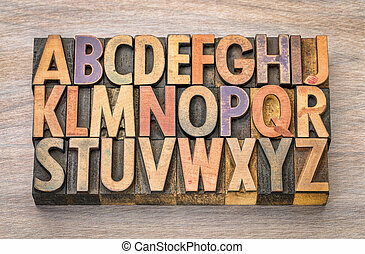 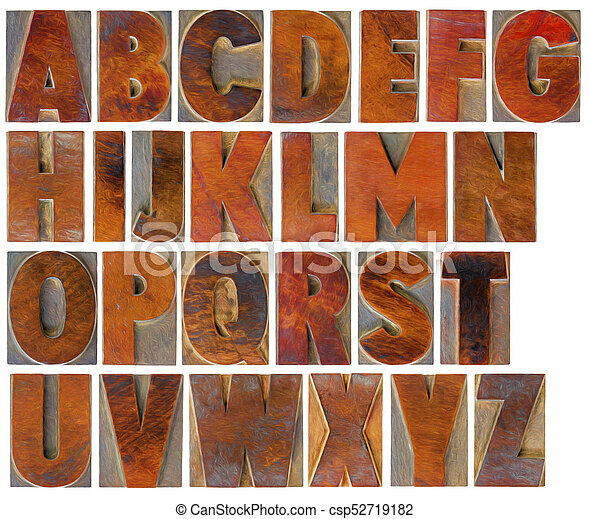 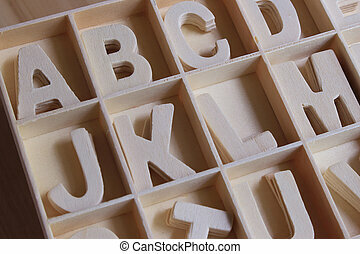 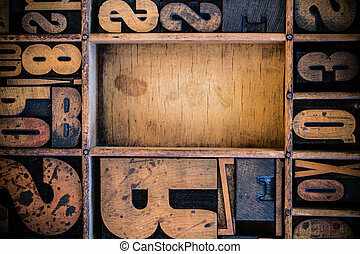 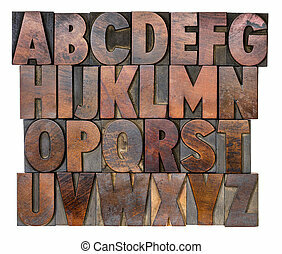 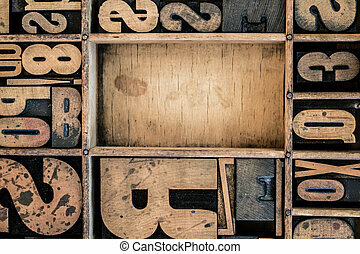 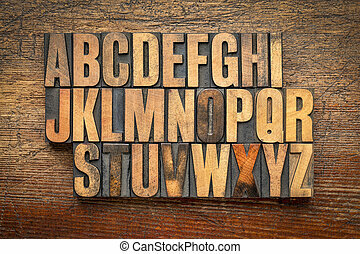 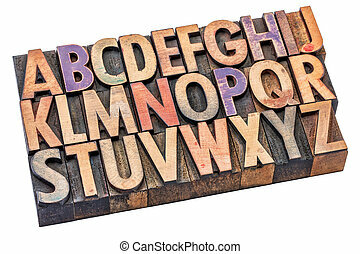 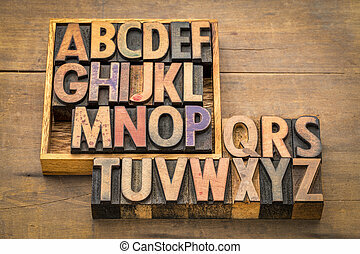 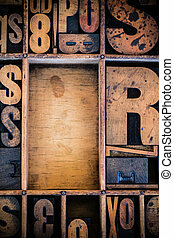 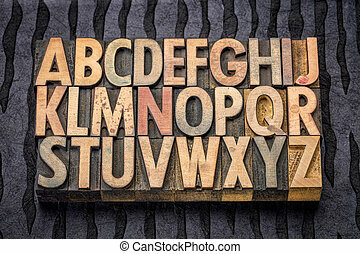 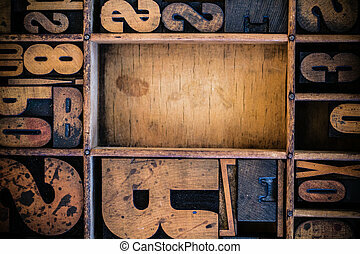 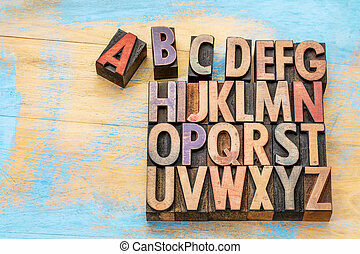 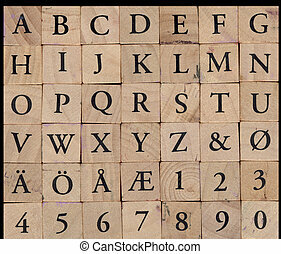 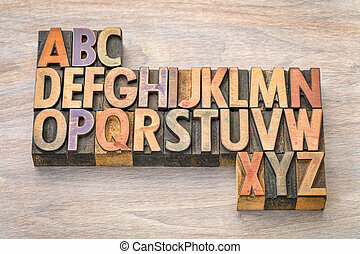 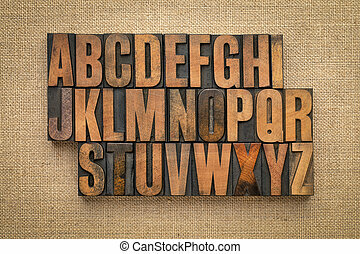 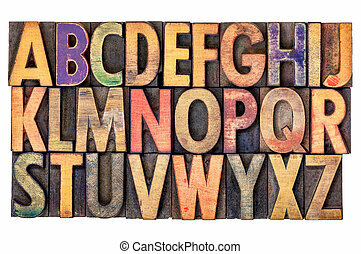 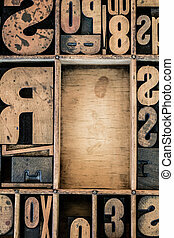 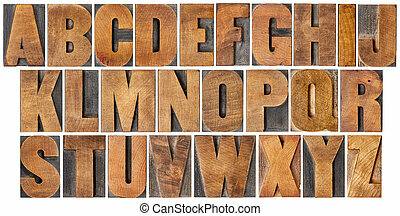 Alphabet set in vintage wood type. 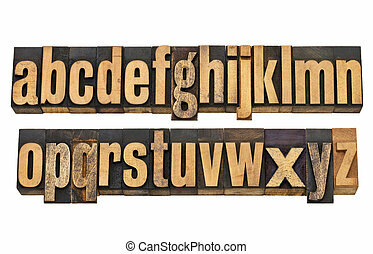 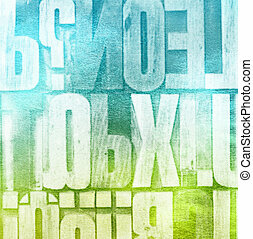 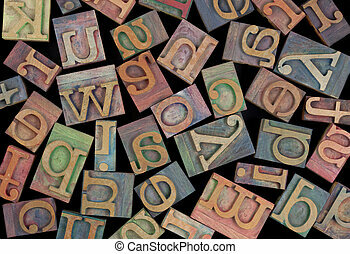 English uppercase alphabet set - a collage of 26 isolated antique wood letterpress printing blocks with a digital painting effect. 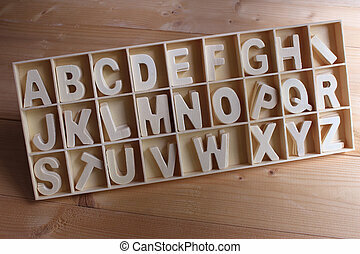 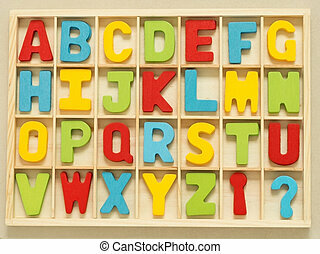 Colorful wooden English alphabet set in wood box. 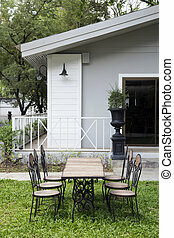 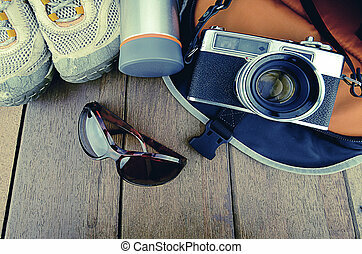 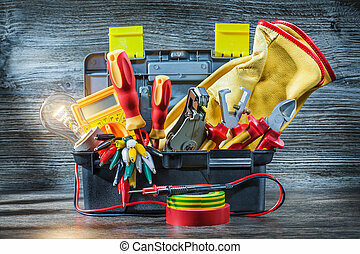 Travelling set with wood background in vintage look.